Along the way (christy) Adopted!! 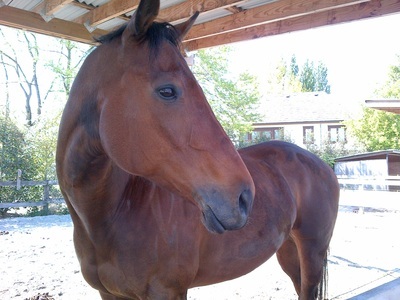 Christy is a lovely mare and a great all rounder. She is curious and will try anything She is a well built mare who happily goes on trails as well as ring work. Sweet on the ground and attentive to her handler, she is good to groom, tack up, pick out her feet etc .She is patient with the farrier and enjoys spending time with her people. She really loves the trails in company and has been over wooden bridges, met dogs , bikes, trucks and ridden by golf courses. 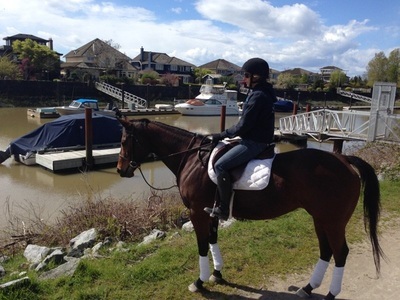 She is nice to other horses and is very comfortable with barn routine. 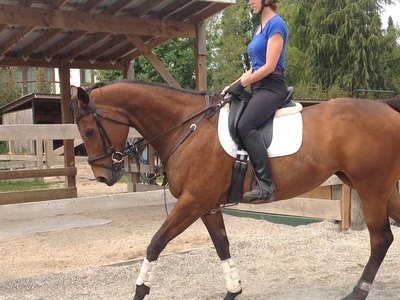 She looks fabulous in western tack and has a very smooth jog. 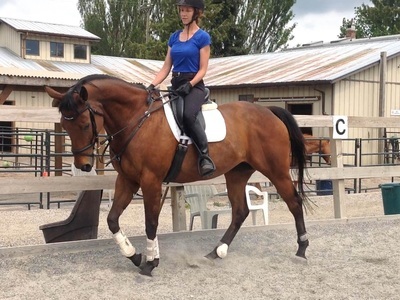 She goes walk trot canter in the arena, trots beautifully over trotting poles , has both canter leads and works by herself or in company. Her canter is really nice. She moves off the leg, has lateral work and transitions up and down are smooth. She has no problems with sprinklers. She would do really well in a home with variety and with someone that has the time to spend with her.